Last year we closed 691 homes, a momentous achievement that allowed us to have an even greater impact on the communities in which we build. The growth we’ve experienced over the years has also allowed us to experiment with innovative home-building techniques and streamline our processes out in the field – implementing an advanced framing system is a result of this. Recently, Builder magazine highlighted high-performance techniques, specifically advanced framing, which saves time, money and cuts down on owners’ energy bills. The article explains that science-based approaches such as this one will soon become essential as more rigorous national energy codes are enforced. We implemented an advanced framing system in our home building process around 10 years ago! While this technique is still somewhat unique among builders in West Texas, it allows us to minimize strain on the environment and allows for more insulation in our homes. But how does this technique achieve so much? Our homes are designed and built with wall studs spaced two-feet apart (some builders space 16 inches apart). This allows for more insulation instead of more wood (which does not provide temperature stabilization like insulation), cutting down on heating and cooling costs for the homeowner. This spacing also creates a more structurally-sound home since roof trusses are properly aligned with supporting wall studs, creating a continuous transfer of weight from the roof down to the slab. 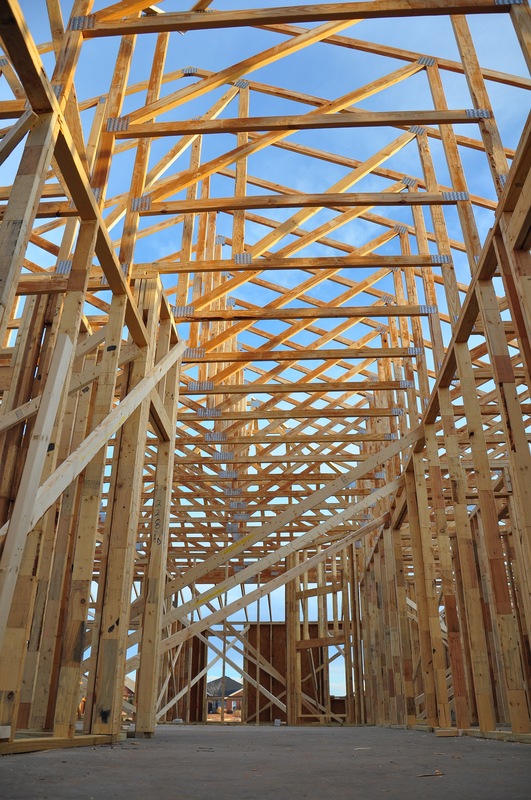 High-performance framing techniques, also save on labor since roof trusses are built off-site. This reduces the likelihood of human error and reduces the amount of time a home’s frame is exposed to outdoor elements on the home site. Savings we incur as a result allow us to sell great homes at a competitive price, even as construction costs skyrocket. In addition, our roof trusses have been designed and stamped by a licensed engineer from Alpine Engineering, an extra quality measure you miss out on with stick build framing. To learn more about roof trusses designed by Alpine Engineering, visit http://alpine.uberflip.com/i/405187-roof-truss-guide. While national energy codes may not currently require all builders to build with science-based approaches, we are proud to be a leader in the home building industry in West Texas and are confident that we will continue to find energy efficient and high performance techniques to implement. We invite you to learn more by visiting our website or speaking with a member of our sales team.